The characters are entertaining and the writing clever, light and witty. Manhattan is a great backdrop then and now for hope-filled dreamers willing to work around life in a vast island of anonymity. The story of Rose unfolds as an adventure as she experiences life in a big city filled with the day to day challenges of just paying the bills. Challenging herself, we feel her deep disappointments and personal achievements as Rose discovers who she is! LOVE! Great read with the kind of wisdom everyone can relate to. This book stirred up so many memories for me. Its written from the heart, but also with so much humor and originality. Please tell me this is just the beginning of a series. I’m emotionally invested in Rose and her journey. This is a book for all ages and walks of life because you WILL find a part of yourself in it! Ivy takes you on a heartfelt journey filled with all kinds of ‘doormat’ challenges and leaves you wanting more with each chapter. I could not put the book down! I got so immersed in the book while at the hairdresser, that I forgot to eat lunch, wondering what was going to happen next with each character. So easy to read and follow. Ivy is such a talented writer and you will enjoy this book from start to finish. A real winner! Congratulations Ivy on such a tremendous accomplishment! 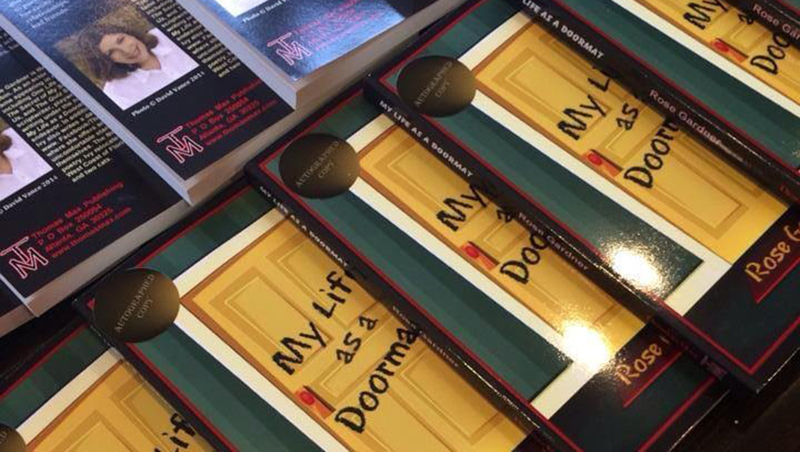 If you’ve read My Life as a Doormat please post a review on Amazon. Congratulations! What a fulfilling accomplishment. Thank you so very much Dr. Segal. I am so appreciative of your continuing love and support.